I am posting the party a bit early this week because I am so ready for the weekend. I want to give a special shout out to a sweet peep by the name of Terri. 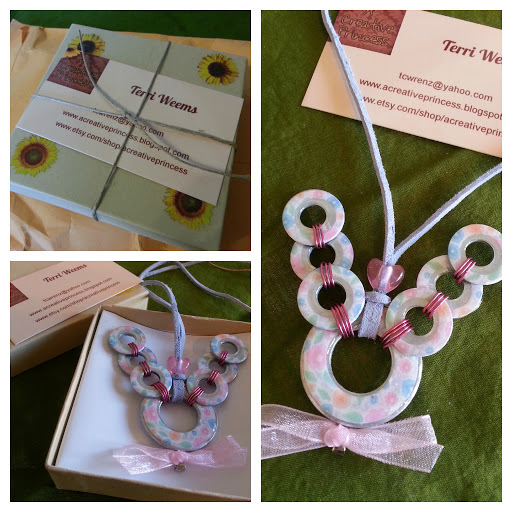 You probably already know how wonderful Terri is, and how crafty she is with her blog A Creative Princess. I personally have been having a hard few weeks. Work has been, lets say challenging. My little Lucas has been dealing with bronchitis for months now, and is on yet another prescription. Then on top of it, he came down with a case of the stink eye, a.k.a. Pink Eye. Lucky for me, Lucas and I shared a pillow last night! As I type, I am telling myself my eye doesn’t itch or feel like it’s growing cheese. Did I mention I have a sinus infection? My husband actually slept on the couch last night since he said I sound like a harmonica when I sleep. By the way, it’s so much fun putting eye drops in a toddlers eyes, 4 times a day! Thank goodness I have no other responsibilities on my plate for the next week…cough…sarcasm. OK so I am whining, and deep down I know I am fortunate and blessed. Speaking of blessings, let’s get back to Terri. Terri has been a real friend, and always willing to lend an ear when I have been feeling like I am losing my mind. She recently sent me the cutest washer bunny necklace. She even has them available for purchase here at A Creative Princess Etsy Shop. The necklace was packaged so nicely. This lady sure knows how to make someone feel special and loved. Which is why I highly recommend her blog and shop. Thank you Terri for the sweet early Easter gift, and most importantly for being such a great friend. 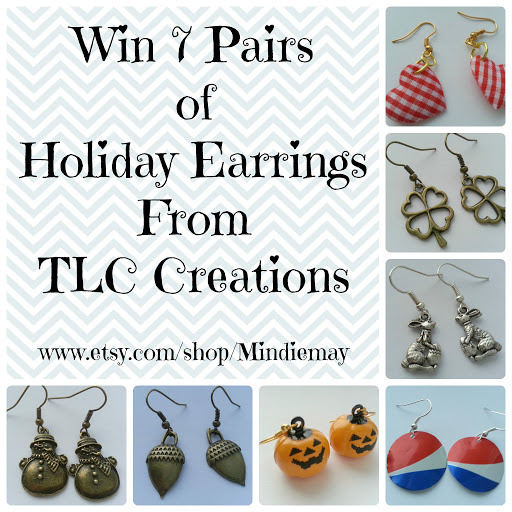 Have you entered my giveaway yet at Living In France? It’s low entry and ending soon on 3/5/13. Now who is ready to rock this party?